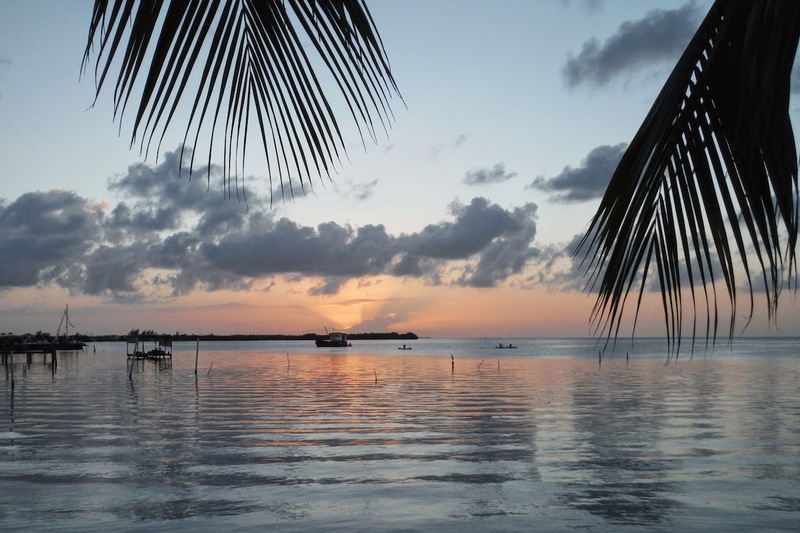 We landed in Caye Caulker with some lowered expectations - finding a place to stay over New Year's had been very challenging, and we ended up taking a place at a hotel that had some pretty poor online reviews. Our walk from the airport to our hotel, we dodged puddles in the street as we held our breath for what would await us. We were pleasantly surprised with the great room we had at the Anchorage Resort - spacious, and on the top floor with ocean views. Once we set out to explore the island, we were excited to spend the next few days enjoying the island lifestyle, warm weather, and getting some diving in. Caulker is very small, there are only a handful of "streets," none of them paved of course, and most people get around on foot or bike, with the occasional golf cart in the mix. The buildings are painted really bright colors, and when mixed with the crushed shell-white of the "streets" and the blue of the sea (visible from pretty much everywhere), the landscape makes for a picturesque setting. For New Years Eve, we had our first of what we hoped to be many lobster dinners, then hit up a beachfront bar called Rainbow Grill that had some friendly bartenders (and tasty rum drinks). Somewhere along the way we met a group of travelers who were gearing up to make some rum punch, so we joined them on a shopping trip and then at their hostel before migrating north with all the tourists to the Lazy Lizard bar at "the split." A low-tech fireworks show was put on around midnight, with the pyrotechnics being set off mere feet from where everybody was milling around drinking (a fact I didn't recognize until the next day when I saw all the burnt out fireworks containers lying around). We stumbled back south, stopping by a couple places on the way back to our hotel to rehydrate. Lounging & swimming at "the split"
Unbeknownst to us, New Years Day would be our only fully sunny day on Caulker. We slept in a bit, then headed to the split to go swimming and lounge around in the sun. As with almost everywhere else on earth, the evening of New Years Day was pretty quiet, but Juli had seen a pub quiz ad and we managed to round up a few folks to join our team "Caulker & Balls". Thanks mainly to Mike from Canada, we stormed through the competition, missing a perfect score only by one question. This made us winners of 20 Belize Dollars ($10 USD) off our bar tab, which was enough for at least one Belikin beer each. 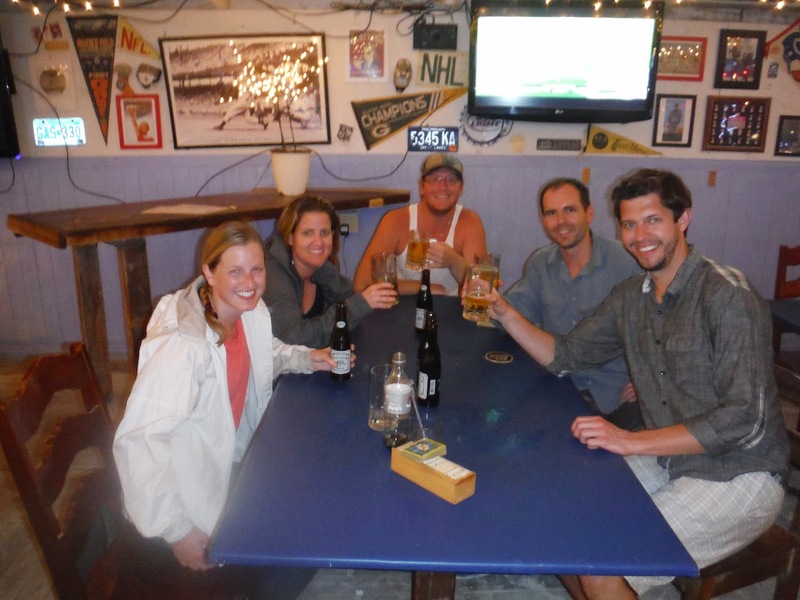 Barrier Reef Sports Bar Pub Quiz winners - team "Caulker & Balls"
The next day, we were scheduled for a day-long snorkel trip and before shoving off, we found a new favorite breakfast food called "fry jacks." Bascially a round of fried dough about as big as a paper plate, folded into a pocket and stuffed with eggs, beans, cheese, and meat, and smothered as desired with Marie Sharp's habenero hot sauce...amazing! We had several, and visited the Fry Jacks house every day after that! 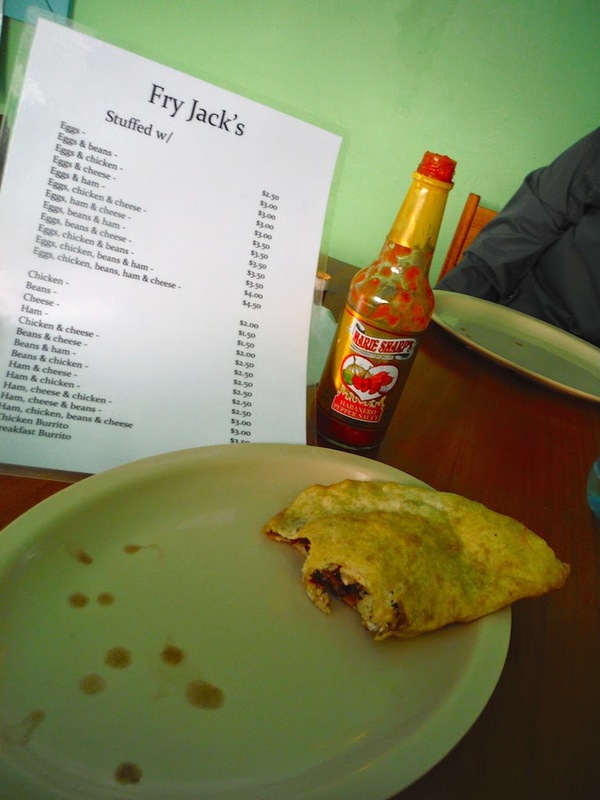 Fry jacks - best breakfast in Belize! Despite the overcast skies, the snorkel trip was probably the highlight of our time in Caulker. Just a short boat ride from Caulker we jumped in and were surrounded by rays, nurse sharks, and turtles - all in water about 10-15 feet deep, so visibility was great. The Hol Chan Marine Reserve is most definitely as advertised - rich with marine life and very accessible for snorkeling. The tour had several stops, each one being really good snorkeling. Our guide "the Caveman" was entertaining, down to earth, and vigilant about our safety & enjoyment. We were glad to have gone on a tour with just 5 others, it seems all tours stop at the same spots, but some boats have nearly 30 people all trying to get organized and get in and out of the water. We had hoped to go on a sunset sail that evening, and were ready to go at the planned time but the boat they use was still out on its snorkeling daytrip. With just an hour of daylight left, we decided to bail and catch the sunset from the west side of the island instead. 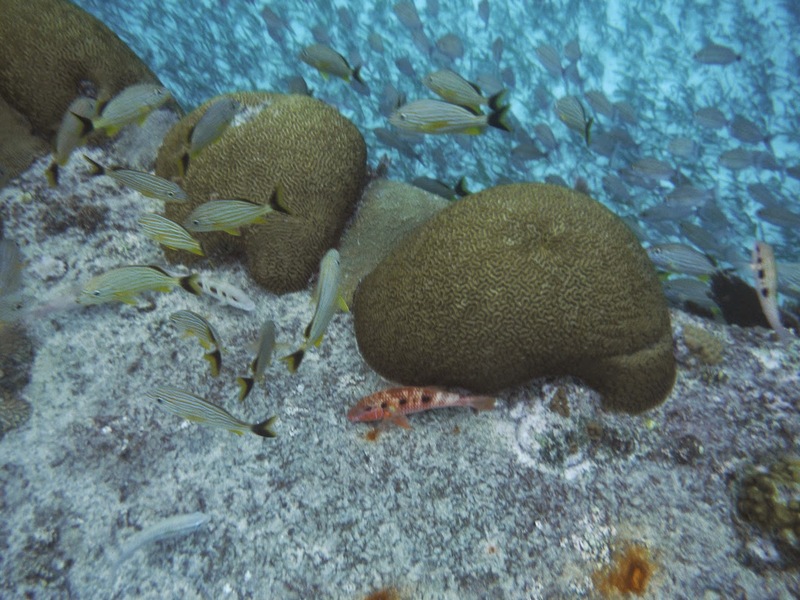 After our dives were complete we headed for a lunch stop at Ambergris Caye, the larger neighbor of Caye Caulker. Stepping onto that island was a wake-up call - they had buildings over 3 stories and real cars driving around! We grabbed some ceviche and ran back to the boat, eager to get back to our nice calm island for our last 24 hours of vacation. 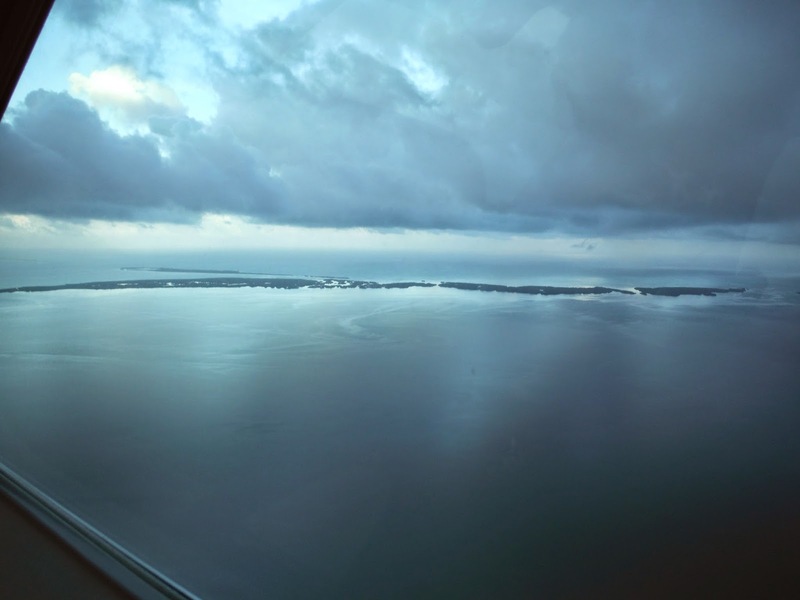 We had hoped to take out kayaks on the morning of our departure, but high winds and some light rain kept us on land. 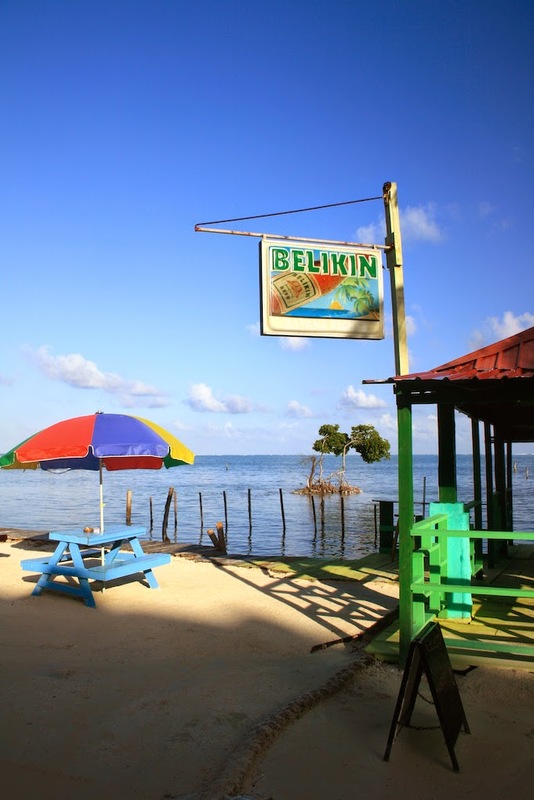 I continued my search for shirt that said "Don't Stop Belizing" and came up empty yet again, settling instead for the standard "You Better Belize It." 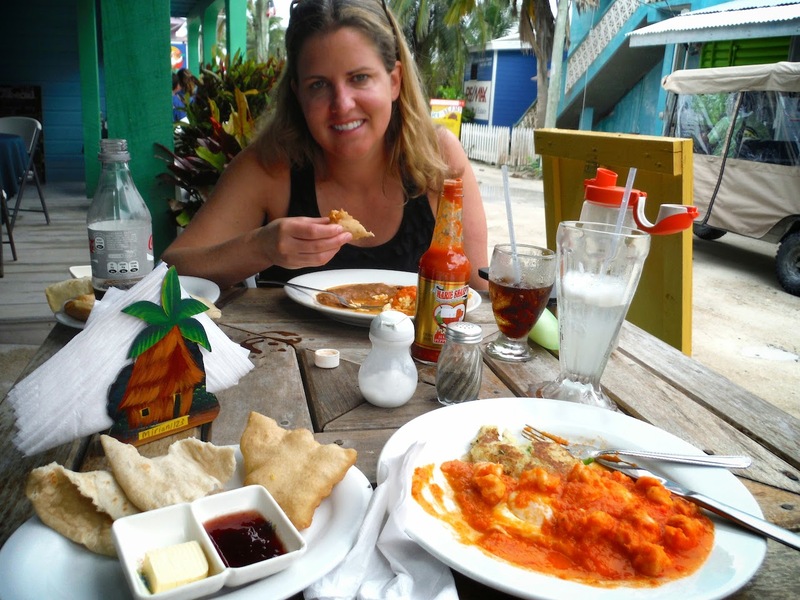 We had one last lobster meal for lunch and caught the water taxi over to Belize City. Our outbound flight was delayed over two hours, and we had a hectic sprint through customs in Houston, just making our connection to SFO (and we were lucky we did, since according to the messages we got from United, had we missed that flight we would have been rebooked on the next available flight out which was in 3 days' time!). Very well done! Felt like I, too, had been there. Amazingly beautiful pictures,also! !